A simple map of the province of Groningen in northern Holland. Signs of its defensive system are still visible currently. 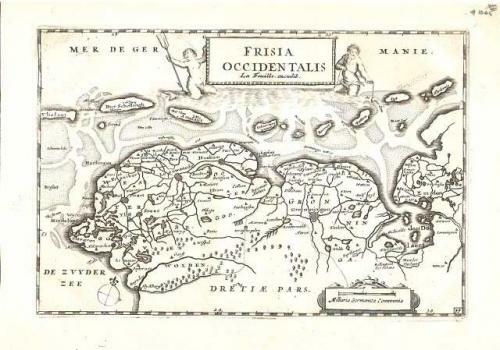 This engraving is taken from a plate from the 1696 edition of P van der Slart's 'Theatrum Belgii Foederati' with minor alterations. Slart's map was printed from the same plate of the 1635 ed. of 'Vyerighe Colom' by Jacob Aertsz Colom.